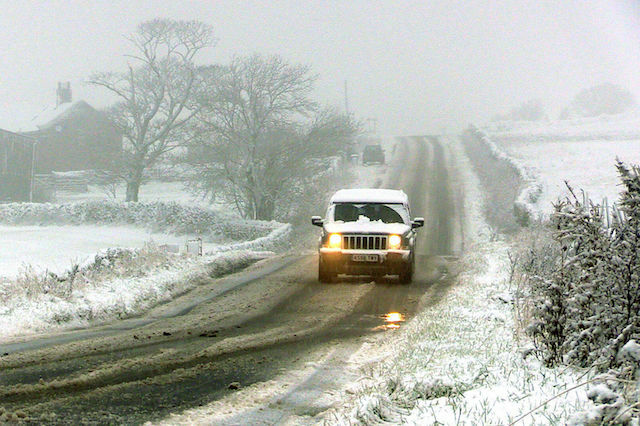 As winter draws ever closer, motoring experts Venson Automotive Solutions have put together top tips to keep you in check during a cold snap, with some handy advice from Venson. Firstly, you should always check your vehicle thoroughly before each journey, especially lengthy ones. Tyres must have plenty of tread and the rest of the car should be in a condition where it is ready to cope with whatever the weather throws at it. Windscreen wipers should also be checked and cleaned when possible to prevent smearing. Headlights also need to be in fully functional condition along with other bulbs. Over time headlamp covers can also become scratched and faded. This can lead to a distorted beam and is an MOT failure. The advice comes after a DfT report found road fatalities on UK roads have risen year-on-year by an average of four per cent. Operations director for Venson Automotive Solutions, Gil Kelly, said: "Whilst the DfT report says there is no singular factor that causes road accidents, there are several common influencers, such as adverse weather, which can affect driver behaviour. "Different driving conditions present different hazards and it is important to understand how you need to adapt your driving style to counter the environment." Drivers should also make sure their number plates are fully visible, have a good de-icer and scraper to hand, leave 10 minutes early to prepare the car, check traffic updates and make sure no weather warnings are in place before travelling. Kelly went on to say: "Winter driving throws all sorts of challenges at motorists, from wet, icy roads to dazzling sun and poor visibility. "Planning ahead can make all the difference, and includes making sure the vehicle is properly maintained and regular vehicle checks are carried out."